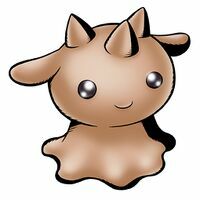 A Digimon that grew up from Cocomon. The personalities of the robust-natured Gummymon and the docile Chocomon are opposites, but they get along very well, and always act in unison. It is an existence of unified mind and flesh, such that if you temporarily separate the two, it will weaken due to too much loneliness. Its Special Move is spewing out a lot of adhesive bubbles (Double Bobble). n., From chocolate 「チョコレート chokorēto」. Fires a stream of adhesive bubbles from its mouth. 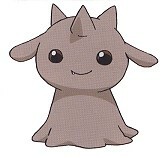 Chocomon was one of Wallace's partner Digimon. It was overtaken by a virus. Wallace attending to Chocomon's wound. 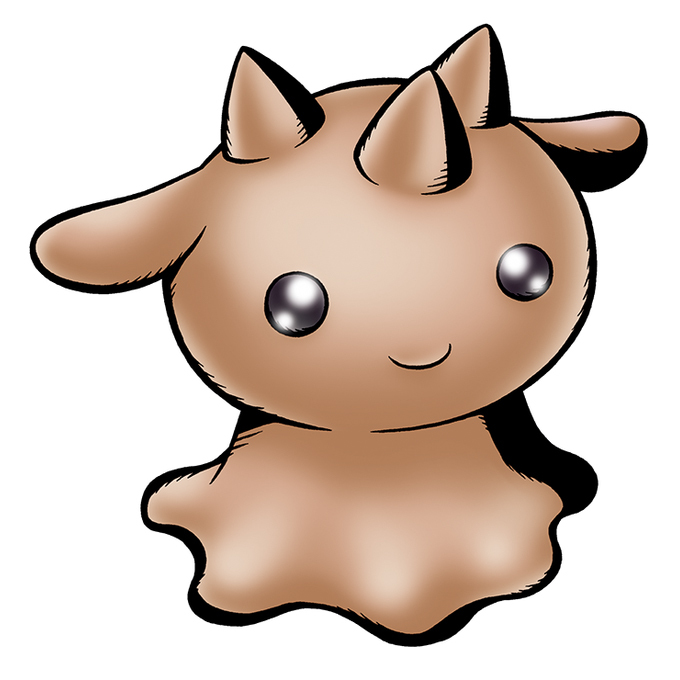 Chocomon was the Baby II form of Shaochung's partner. 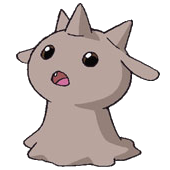 Lopmon was reduced to this form, and forced to return to the Digital World. Chocomon are natural inhabitants of a zone that fused alongside other zones to form Vampire Land. 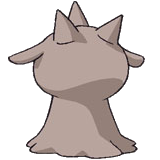 Lopmon explained to members of Xros Heart that within their lore, White Lopmon can bring about the downfall to darkness through their holy powers. It is from then on that all the newly evolved Chocomon would be captured and taken to the castle without ever being seen again. Taiki and Xros Heart took it upon them to liberate the Chocomon and Lopmon from the Death General's oppression. Can be found at Chip Forest. Can evolve to Lopmon if above level 9. 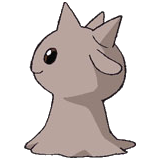 Chocomon is only obtainable as a collectible card. Its card is part of the Sorrowful Fallen Angel (哀しき堕天使 Kanashiki Daten Shi) set. 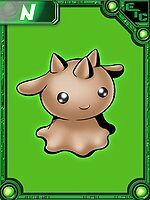 Chocomon is available as a Digimon Medal. This page was last modified on 19 October 2018, at 15:04.